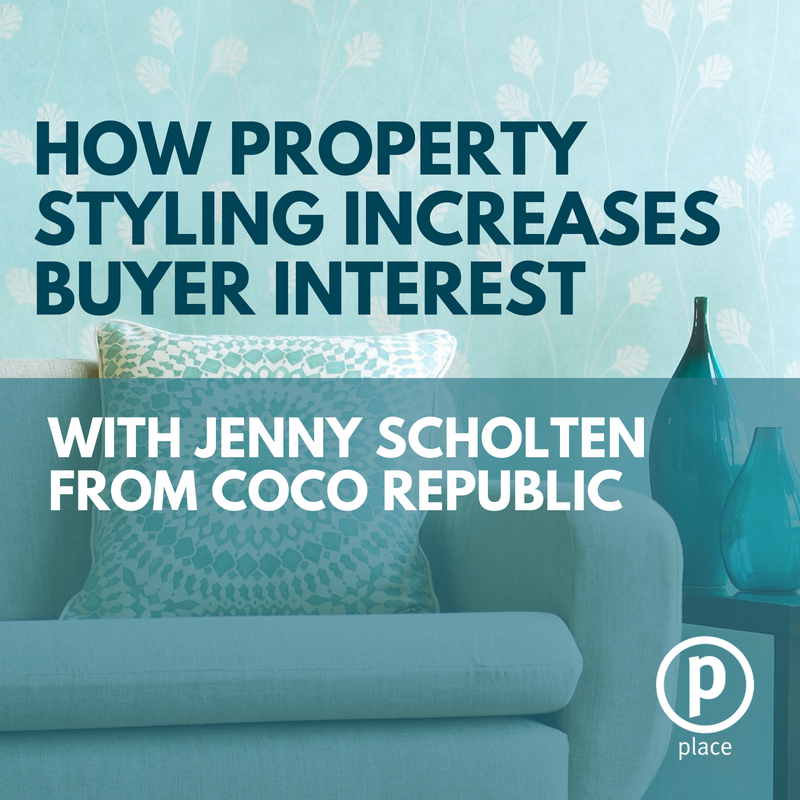 In this episode, we will be speaking with property stylist, Jenny Scholten from Coco Republic. Specalising in styling properties for sale, Jenny works closely with sellers and agents to enhance the appeal of a property. Today we will be discussing the process involved with property styling and how it can create more interest when it comes to sale time. Welcome to the Brisbane Real Estate podcast where each week, we'll be answering all of your questions relating to the local property market, with CEO of Place Estate Agents, Damian Hackett. 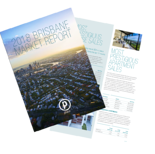 Be the first to get market insights, trends and tips on everything you need to know when it comes to Brisbane real estate. To download a copy of our free Brisbane Property Report, head to eplace.com.au/podcast. Hello and welcome to the Brisbane Real Estate podcast. Today I'm sitting here with Jenny Scholtten from Coco Republic Property Styling, how are you Jenny? Good and welcome. So now with property styling, if I look back 10 years ago, it was very rare that we'd actually see properties being styled, but now, particularly in the middle to upper end market in the inner city, it seems to be more of a regular occurrence and probably in some of the heavily marketed properties particularly, it's very rare that they're not. So Jenny, tell me, what is your role at Coco Republic? Look I'm a specialist in styling properties for sale. I'm there to work with agents and home owners and try and enhance the appeal of a property. Okay, and what experience do you need to get that kind of job? Look, a background in design and style, you need to have a sense of style I suppose. I've been in the design industry for many years now and I've worked closely with agents over the years working in this area. And I guess it's definitely an industry that's really grown a lot over the last, particularly four or five years? Oh look, it certainly has, I think it's widely accepted now to style a property and look, I'm styling properties ranging from the prestige end of the market right through to the developer with their more town home, small unit complexes, so I'm seeing it across the board that everyone's styling. Yep and I guess what I've noticed now, I've been selling residential property for 27 odd years, and there's been a lot of change in that period of time and you can imagine, the average price in Brisbane has gone through the roof. Probably when I started selling in the eastern suburbs, most properties were selling below $100,000 and the average price in the Hawthorn area might be somewhere around $1 million now. So I guess people are more accepting to spend more money and to stand out from the competition, that's what it's all about is someone walks into a home and thinks, "Wow, this is amazing, I'd love to live here", and so the styling has really become a big part of that. That's right, we're there to give them that edge, we're there to create that appeal. As soon as someone opens that front door or they've walked through that property, it's a breathless creation. Yep and I guess it's ... one thing I've become aware of over the years is that there's a good number of people that really I guess lack imagination as far as what something could look like, and can't see past what's there at the moment. Yes, I totally agree, I mean you can walk into a space and some people can't visualize their own furniture in there, they can't make sure it flows from living to dining onto the outdoor area, so it's really important to place the appropriate furniture and style it to the potential home owner to understand how it all works. Yep, I guess I've always thought that there's a difference between having a home furnished to live in versus like the display style home, like what are some of the key things that you find there? Yeah, so I guess my experience is to be less pieces, but really key in attractive pieces, a bit like, almost like art, so like beautiful chair as opposed to a lounge suite everywhere and instead, opening it up? And I guess going beyond the furniture, what are the other accessories that are important, things like bathrooms and kitchens and living areas? Oh look, the layering is very important and that's where we can introduce some styling in bathrooms, I'm seeing a trend at the moment, everyone's wanting that resort style bathroom where we do everything from orchids to rolled towels. We also include layers of art, floor coverings, lamps, we have lots of layers and that's key to property styling too, to get that light and shade, once again for your photos. And how does that relate to styling then, the type of furniture you use, I guess with the Hamptons it's usually lighter colors and timber and so forth. Light's really important, when we're styling we do keep everything very light and clean. We start with our key elements like our sofas and then we'll add our layering pieces again from your coffee tables through to your side tables, occasional chairs and so forth. So for us, light, airy, fresh and then we'll adapt that scheme of the brief to that property, so we look at every individual property and we cater for their needs. I guess one of the challenges in styling that I've observed, and I guess I'd love to hear how you handle it, is sometimes you'll have some clients or some owners who've spent a lot of money on some really quite expensive furniture, but maybe their taste is very directional shall we say and doesn't appeal to everyone and then going in there and having a discussion with them to say, "Hey, we want to take your furniture out and put new stuff in", when they may have spent tens of thousands of dollars, and trying not to offend people. How do you handle that? Well look, we do do integrations, so we're very happy to work with existing furniture and in most cases, if it isn't a particularly designed home, a lot of those key pieces will work back with that house well and that's where we'll work as a team and select pieces to I suppose create a cohesive scheme for them. Well look I think when you do explain to them that their photographs are going to be key and they perhaps need to broaden their market, that's when they do have an understanding that we're here to help. Yeah, sure, absolutely. So Jenny, can you think of an example maybe of a property where you came in there, weren't sure what you were going to do, maybe did a huge makeover and had a huge positive effect? Yes, recently I worked on a property, a riverfront property here in Brisbane and that initial consultation walking through it, it was a little tired and a little dated, but still had great bones and a great floor plan. It was very dark inside and look, my initial thoughts were gee, we need to lighten this up, brighten it up, we need to give it a fresh new lease on life. And initially speaking with the owners, they were wanting to integrate some of their existing pieces, absolutely divine pieces, but period pieces which was a concern for me on the dark timber parquetry floors, that it was all going to get lost once the photos were taken and I was just concerned they weren't going to get the results that they wanted. So how did you go about that, with just a bit of a discussion? Yep, and they understand it, yep. Total revamp, and a lovely furniture package in there, again soft fabrics, a lot of layering, a lot of light and shade and some great statement artworks in there which are always key when doing a fit out. So in the end we did a full style and we went to auction, it was a full week campaign I think and amazing results at the end, I think they got a price well, or you'd probably know, they got a price well above reserve. We had a wonderful outcome on this property and they sold well above reserve and four registered bidders and everything run really smoothly for them, so it was just a thrill to work with these people and interestingly enough, the new home owners were that happy with what we placed in there, we worked with them to put a furniture package together for them. Yeah, and I guess that's an example where having the right images online attracts more people, gets them there and the more bidders that you have, the higher the chance through competition of getting a better price? Yep, it's an integral part of the process and I guess, I've seen with styling, that's an example of where you restyled the whole property, but it goes anywhere from somebody coming in and maybe giving some advice on what's there, maybe adding a few accessories, to pulling bits and pieces out so it's meant spending a very small amount of money, but I think most people will benefit from advice on just how to present the home. Yes and look, I'm there for that, not everyone will proceed with a full style, we're even happy to talk them through what needs to be done if it's from decluttering, you know, less is more when you go to market your property and look, it's all about advice isn't it and us working all together to issue some great advice for them. ... it's a vacant property and it's kind of like that's not what was advertised. ... people go and they fall in love with something online, they walk in the door and it's a cold shell and people think okay, we can get away with that from a budget perspective, but at the end of the day it's an important transaction, it's a big transaction for people isn't it? That's right and I still believe spending money on that styling, you do get it back on that sale price. Yep. Any other trends coming down the line at the moment you can see coming from overseas or other places? Oh no, clear, bright colors and it's from the strong emerald greens right through to indigo blues and they're not as frightened to use color anymore, where originally, three or four years ago, everyone was working on that white pallette and now you can still have your walls and your ceilings white, but definitely add that color for some interest and don't be frightened to use it. Right, absolutely. So Jenny, thanks very much for taking time to come and have a chat about what is now I guess an ever growing trend, an important trend in the whole process of selling your home these day. Yeah, no, it's been a pleasure, thank you so much.